Liverpool had a tough task against the Italian club Napoli, and they didn't disappoint. It is never easy to play against Italian clubs, as they are one of the best when it comes to defensive strength. The Reds were perfect in every aspect of the game. The defence, midfield, and attack were all ideal. 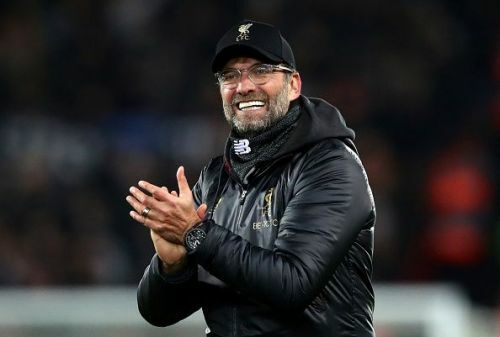 There is no denying the fact that Liverpool were the deserved winners. Liverpool reached the last 16 of the most coveted tournament in club football thanks to a goal from the Egyptian magician Mohamed Salah. Salah was not performing well at the start of the season, but now he has helped Liverpool go past the group stages. Salah is back in form at the right time for The Reds. Napoli did everything they could, but they lost to the better team. The Italian giants had a chance to equalise in the 78th minute, but Jose Callejon hit one high over the crossbar. Napoli certainly suffered on their left side due to the threats created by the Egyptian superstar. We take a look at the reasons why Napoli lost against Liverpool. It seemed Napoli were not going for the win, as a draw would have been enough for them to progress. Liverpool on the other hand, were a constant threat going forward. Napoli did not try hard, and went for the counter-attacks when Liverpool lost the ball. The captain of Napoli, Hamsik, only had to beat the keeper from outside the box after an amazing pass from Dries Mertens. 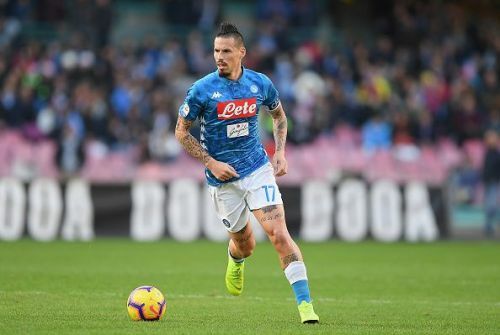 Hamsik's shot sailed just over the bar, and Napoli missed the chance to take an important lead. Napoli only had 3 shots in the first half compared to Liverpool's 7. Ancelotti's men should have started to attack right from the start of the game, but they had other plans. Napoli only lost one game in the group stage, and still they are out of the Champions League. Fans of the Italian club will be disappointed because they are out of the competition only due to a single loss.